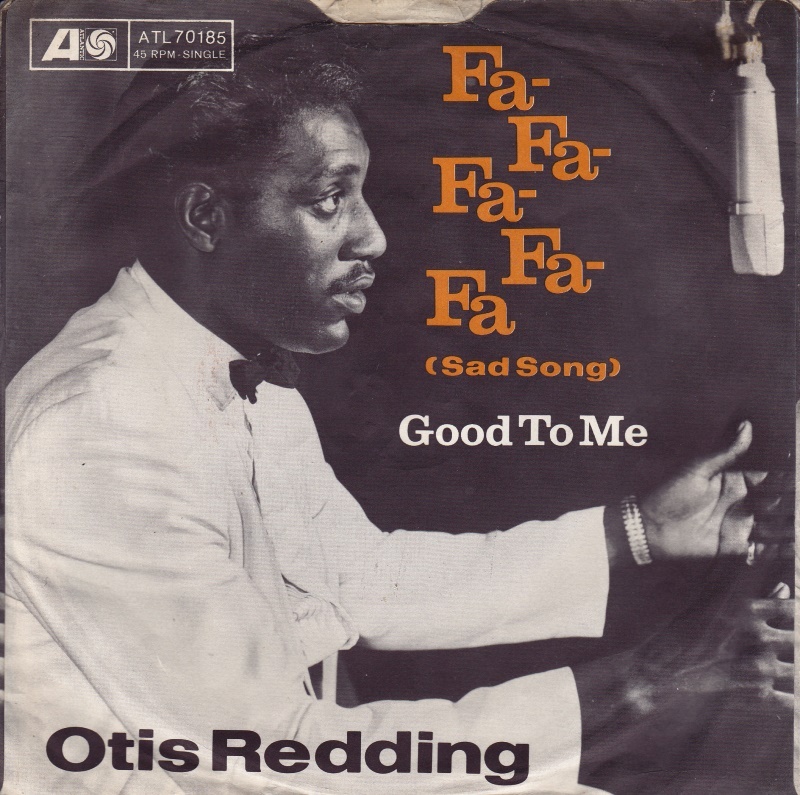 If nothing else, Otis Redding had a complete and unbelievable understanding of who he was and what his brand was, and by his second album of 1966 (and fifth in a little under three years), he was chafing against his own brand, resulting in the totally meta “Fa-Fa-Fa-Fa-Fa (Sad Song)” the opening track of that fifth album Complete and Unbelievable: The Otis Redding Dictionary of Soul. That’s quite a mouthful, but it was also his fourth consecutive album in two years that used either his name or the word “soul” in the title, and the only one released during his lifetime where he had songwriting credits on the majority of the songs, including “Fa-Fa-Fa-Fa-Fa (Sad Song)” a co-write with Steve Cropper. With Duck Dunn providing an easy-rollin’ bass line, and Al Jackson Jr pushing it along steadily, Otis basically frames the entire song as a duet between him and his horn section, all the while providing wry commentary on what they’re doing. Which is probably why he pronounces “fa” differently than you’d expect: “faaaa” sounds more like the horns than “fahhhhh” does, which adds to the genius of the chorus. Like a lot of Otis’ greatest songs, “Fa-Fa-Fa-Fa-Fa (Sad Song)” is deceptively simple, but the more you listen to it, the more you hear how the simplicity is masking some serious sophistication, especially on the horn-driven bridge, which almost skates by without notice and ends with a nice long vamp that sounds like it’s covering some abandoned guide vocals. At one point, Otis exclaims “everybody’s turn,” and its almost impossible to not wanna sing along.